They currently live in the Dallas-Fort Worth Area. We have a lot of amazing photographer friends that travel to Dallas for Indian weddings regularly, but don't physically live here. The benefit to having someone local is no travel cost, easier to meet, and less chance of something happening to them on the way to your wedding. Our couples in the recent past have loved working with them. We only wanted to give you the best South Asian wedding photographers in Dallas. They must only be photographers and not own or be a part of any videography company. There are pros and cons to both sides but we see more couples wanting to pick and choose two different companies rather than choosing one company for both.. The following Top 9 Indian Wedding Photographers in Dallas are ranked based on who we have worked most often with in the last few years. Vinny or as he never likes to be called Vinod Elsie Kuruvilla is the owner of VEK Photo. He has secured the first position on our Top 9 Indian Wedding Photographers in Dallas list. In the last few years, we have worked together the most often. As we sit here writing this blog it just so happens that we were together the last 3 weekends in a row. His couples are split pretty evenly amongst Hindu (South & North Indian), Christian (Malu) and Muslim (Indian & Pakistani). Vinny's farvorite music is 90's Hip Hop. 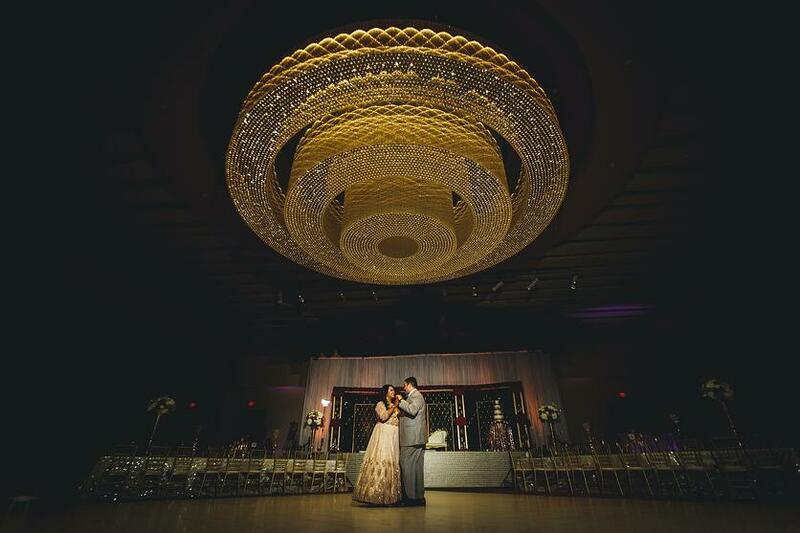 This is a picture of Rohan & Rishika from their wedding at Omni Dallas in downtown Dallas. We love this couple and we loved their guests. Fill out the form on this page and we will send you the contact information for everyone on this list. Also if you are still looking for a venue check out our blog on the Top 22 Indian Wedding Venues in DFW. Lomesh & Radhika Patel are the dynamic duo that make up Lomesh Photography. These two are not married, but know each other inside out. We have done many weddings together and we love seeing them at events. They can capture any type of wedding, but their main focus is Gujarati weddings. A vast majority of weddings we have done together are couples with both sides being Gujarati. Which is perfect for Lomesh & Radhika, because they are Garba Muisc lovers! If they weren't photographers (on the Top 9 Indian Wedding Photographers in Dallas list), they would be running around the house doing garba all day. They both love Bollywood music and movies. Lomesh took this stunning photo of Dolly and Mithesh before we let everyone into the SLPS ballroom in Irving, TX. Don't want to get married at a hotel? Check out our blog on the Top 9 Indian Wedding Venues that aren't hotels. Nida is originally from Australia but has been in Texas for many years. She connects very well with her brides and always has fun at weddings. A majority of weddings we have done together are fun Sunni Muslim weddings where people value great music, amazing decor and want it all captured perfectly. She thinks she likes trap music but in all reality she likes Coke Studio music and American Top 40 radio hits. 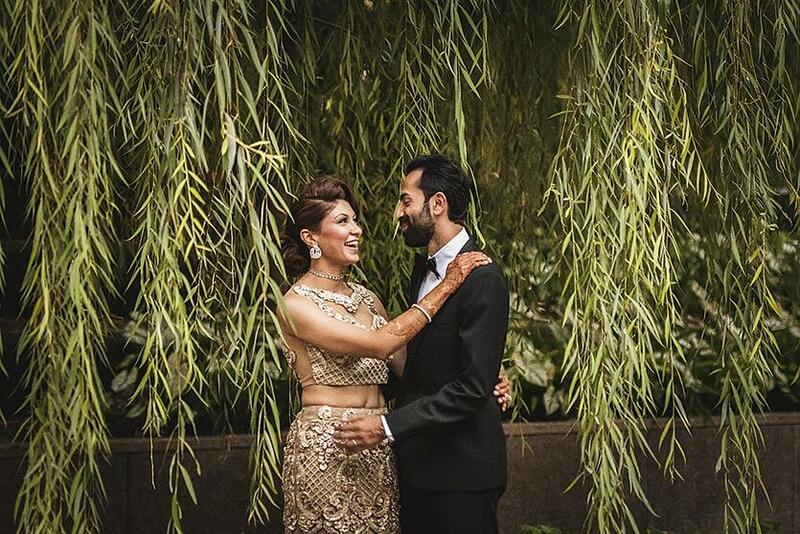 Nida made the Top 9 Indian Wedding Photographers in Dallas list because she finds a way to capture the right moment. Nida took Eva and Nilesh outside during their wedding weekend at the Intercontinental Hotel in Addison. Some of their best pictures came from this photoshoot. Gujarati groom and Nepalese Bride...I told you, we love mixed weddings! 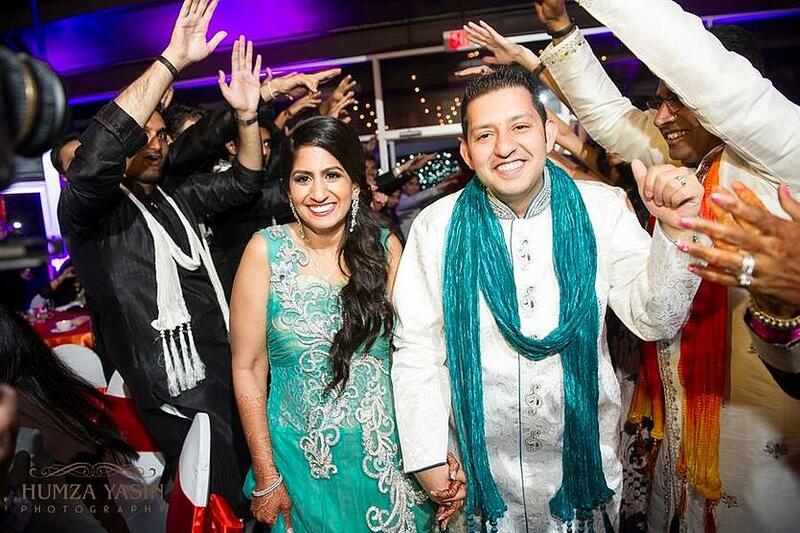 Check out our blog about Indian Wedding Venues in Addison. William Bichara is one of the most genuine people you will ever meet. He is a great photographer and focuses his efforts on doing great work and doesn't worry about being social on social media. We have done many weddings together, and recently the weddings have been mostly mixed or fusion. 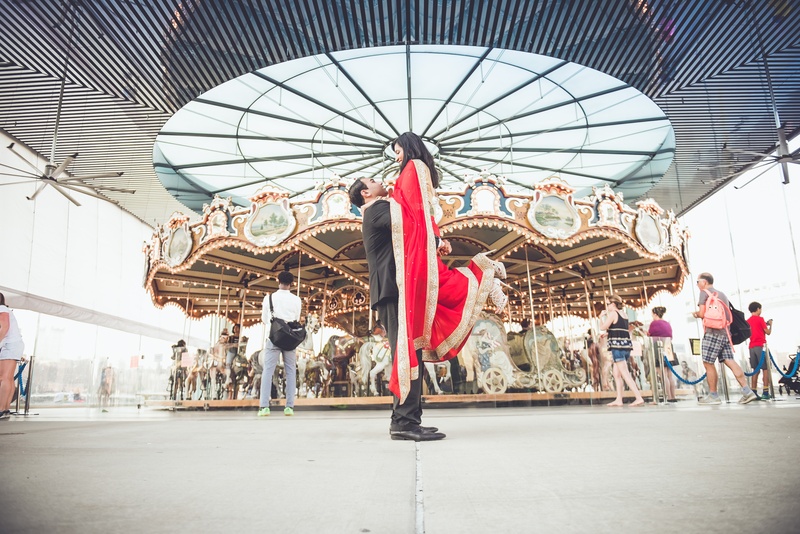 Mirza & Saloni are a fusion couple that got married at The Worthington Renaissance in Fort Worth. We light up every time we see them at one of their friend's weddings. William has a way of getting great shots quickly and deserves to be on the Top 9 Indian Wedding Photographers in Dallas list. If you need a photographer for your Indian Wedding, fill out the form on this page and we will send you everyone's phone number and email address. Here is our blog on Indian Wedding venues in Fort Worth. Greg Blomberg is always smiling and saying something funny. He is a great photographer who we normally see at mix weddings. We have done many weddings together in the past but haven't seen him too often recently. His work is always consistent and has been that way for years. Here is a picture from Fahrin and Amir's wedding weekend at Nasher Sculpture Center. They have a lot of weddings there but not many South Asian weddings. The vendor team had to be just right for this power couple. Find the perfect Indian Wedding Photographer for your wedding in Dallas by filling out the form on this page. Shakil Noorani of The Propixels is locally known by many people. He has probably done more Ismaili weddings than any other photographer based in Dallas. It's no surprise that when we work together its for a young and fun Ismaili couple that wants to dance and to capture those moments for a lifetime. Check out how he captured Saira and Zain in a fun and cute way. 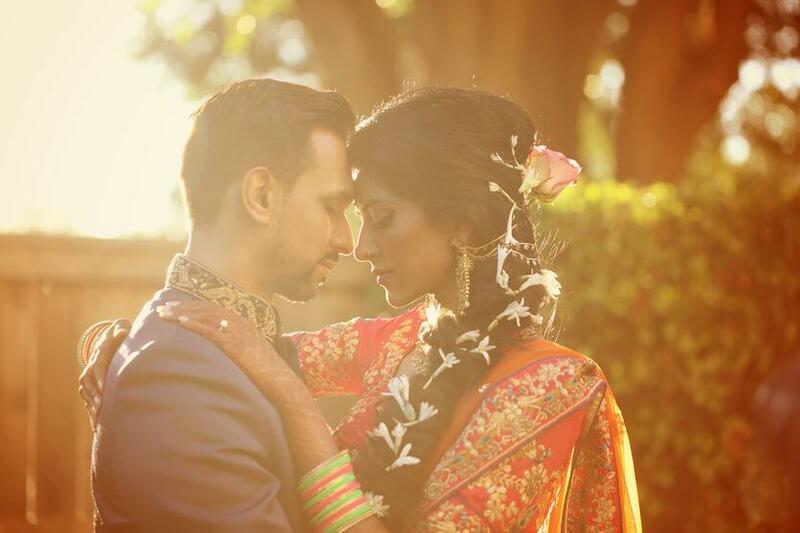 His chill attitude is what has put him on the Top 9 Indian Wedding Photographers in Dallas list. Humza Yasin is one the most straight up and honest people you will ever meet. His wife Jabeen Humza is the sweetest (besides the amazing dessert tables by Candee Couture) person you will meet in the wedding industry. They are the perfect couple that works together and balances each other out. They stop being vendors and start becoming a part of the family. 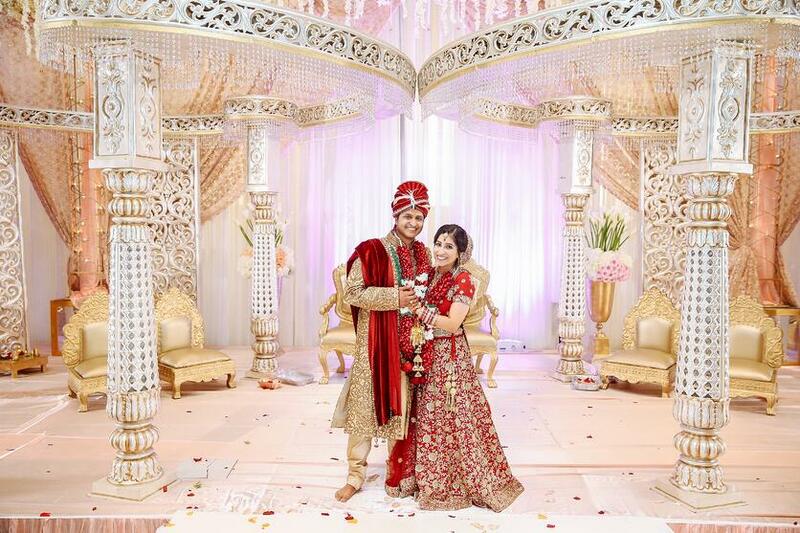 Check out this fun shot of Rozmin and Asif's entrance at Sheraton Arlington Hotel. Humza always finds a way to be in the right place at the right time. Thats one of the main reasons he made it to the Top 9 Indian Wedding Photographers in Dallas list. 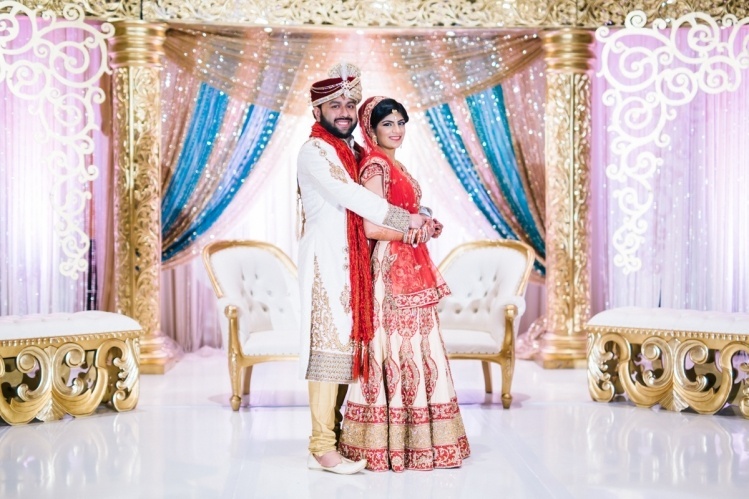 Number 8 on the Top 9 Desi Wedding Photographers in Dallas list is Ambreen Zaveri from Shakar Photography. She is great to work with, we have done weddings together last year and have some on the books for this year.. You will see her predominately in the American wedding market. She does very well in that market but still has room to take on the right Indian Weddings. 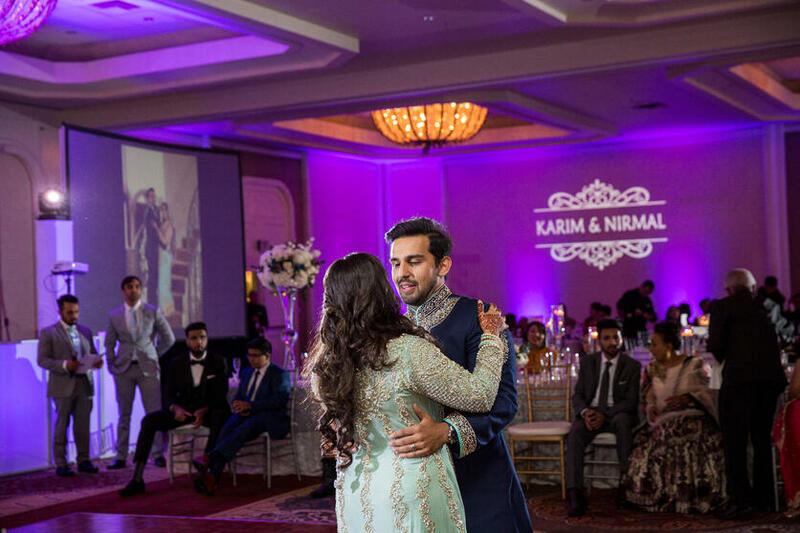 Here is a shot from Nirmal & Karim's first dance. She captured the room's uplighting really well. Luke and David Edmonson are a father-son duo that we love seeing at Indian weddings. They were the original Non-Indians shooting Indian weddings before it became cool in Dallas. They took the time to understand the culture and people. Now they spend most of their time collecting awards and teaching photography, but we see them at least once a year. Usually at a luxury Indian wedding or a luxury fusion wedding that we are doing together. Every time they are there, we know we will get at least one epic shot of everyone dancing with us in it. 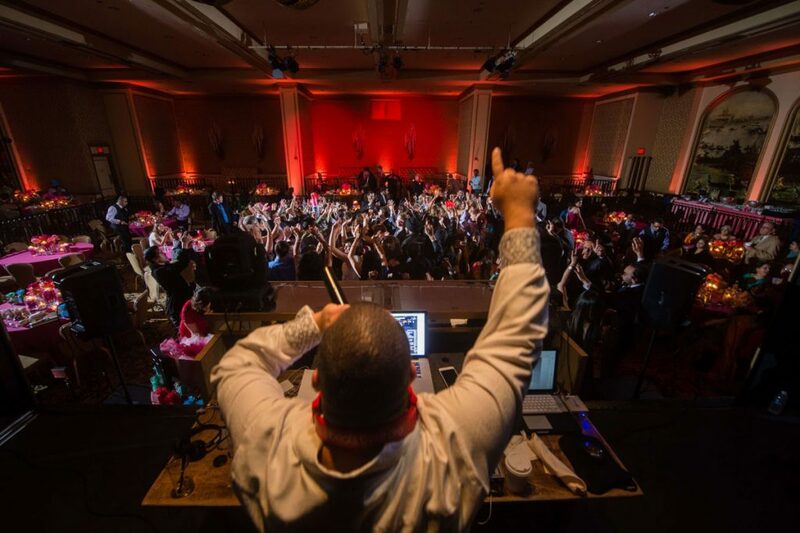 Check out this shot from Kiran & Vince's luxury fusion wedding at The Fairmont Dallas. The only reason they are at the bottom of the Top 9 Indian Wedding Photographers in Dallas list is because they are so busy with other commitments that we don't see them often. If you need an Indian Wedding Photographer in Dallas, fill out the form on this page and we will send you everyones' email and phone number. Check out our blog if you need an Indian Wedding Venue.